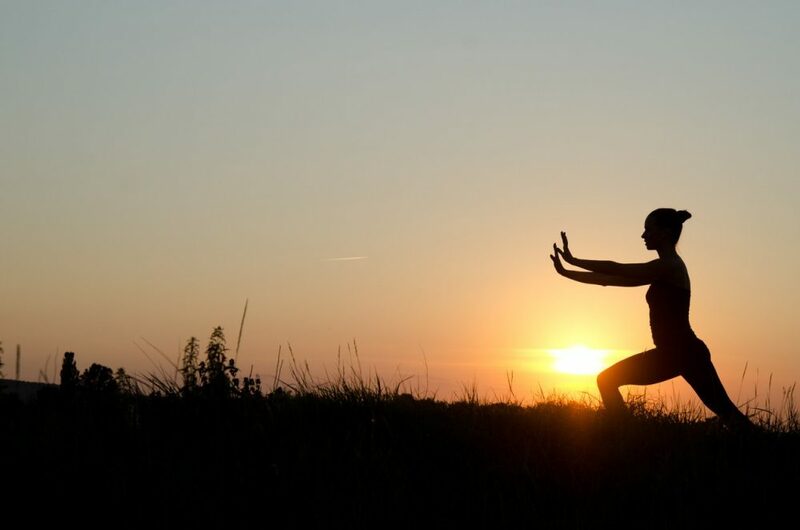 Woman praticing tai chi chuan at sunset. Finding ways to help patients with COPD improve their functional status is an area of interest for pulmonary healthcare providers. Currently, pulmonary rehabilitation (PR) is used where available to improve exercise capacity and quality of life, but the treatment requires access to trained staff and specialized facilities. A new study in the journal CHEST® looked at Tai Chi as a lower cost, more easily accessed treatment option. Investigators found that this slow, methodical form of exercise is equivalent to PR for improving respiratory function in patients with COPD. Tai Chi, an ancient martial art that involves significant levels of physical exertion, is gaining popularity, especially among older people, across the globe. Originating in China, Tai Chi incorporates stretching, breathing, and coordinated movement and requires no special equipment. “Knowing the potential benefits of Tai Chi, we hypothesized that, in patients being treated with medication to manage their COPD symptoms, it could help improve the quality of life when compared to a course of classical western style PR,” noted Professor Nan-Shan Zhong, MD, State Key Laboratory of Respiratory Disease, Guangzhou, China. The study tracked 120 patients with COPD in rural China who had never used a bronchodilator. After beginning daily treatment with indacaterol, subjects were randomly assigned to groups receiving traditional PR or Tai Chi. Both the Tai Chi and PR groups showed similar improvements in Saint Georges Respiratory Questionnaire (SGRQ) scores, a standard measure of health status in patients with diseases causing airway obstruction. However, after twelve weeks, a clinically significant difference in SGRQ scores emerged favoring Tai Chi. Similar trends were noted in performance of a six-minute walk test. Subjects in the Tai Chi group met for formal instruction five hours per week for 12 weeks and were taught the 24 form Yang style. The results of the Tai Chi group were compared to that of another group of subjects who received PR three times a week for 12 weeks. After the initial 12 weeks, participants were encouraged to continue their Tai Chi either alone or with a group in their community; however, no formal assistance was provided to patients during this period. Those in the PR group received verbal encouragement to remain as physically active as possible. Final analysis of all data was conducted 12 weeks after the formal training had concluded. For many patients, reducing the symptoms of COPD can greatly improve their quality of life. While medication continues to play an important role in treating COPD, the cost of those medicines can be a barrier for some patients, especially for treating a chronic illness like COPD.